I was informed today that long time sitting judge, Judge Jerry Lewis of Collin County Court Two has drawn an opponent, Sharon Ramage. I spoke with Sharon today who is going to email me some information about her campaign and a photo. However, I am impatient and pulled stuff from her website. I will update as needed. . . . Considering there are several other open benches, most attorneys in the area were surprised at the news. But it does makes some sense considering each of the open benches have already garnered several candidates. See other posts on County Court 3, County Court 6, and District Court 219th. Judge Lewis is the current sitting judge in County Court Two for over 20 years. I pulled his information from a facebook page created on his behalf. 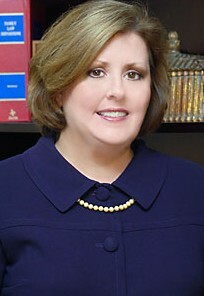 Judge Lewis was first elected in 1986 and has presided over 22,000 cases. Judge Lewis is a former First Assistant District Attorney for Collin County and has ten years experience as a prosecuting attorney. 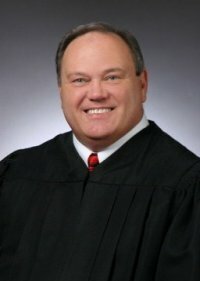 He has served two terms as the Local Administrative Judge, of his fellow Court at Law Judges. Judge Lewis is a military veteran, with 4 years active duty in the United States Army as a Captain and 5 more in the Reserves. He has been a Boy Scout leader for over 25 years and was awarded the Silver Beaver Award in 2004 – the highest adult honor given by the local Circle Ten Council.